I don’t know about you but in Windows 10 I really miss the “Show Desktop” button that was present on Windows XP through to 8. Sure, I can press the Windows & D keys or use the invisible button but muscle memory means I keep hitting Cortana when I really want to show the desktop. This great tip shows you how you can get your button back! I got into GTD (Getting Things Done) way back in around 2004 and it changed my life. While the system didn’t quite deal with tech-related aspects of people’s lives it really resonated with me and still forms the basis of how I manage my tasks today. Of course, over 15 years later David Allen has obviously revised his work to take into account our always-on smart-phone enabled life and his techniques are still worth looking into if you’re looking for a flexible system that will help you get organised you’d do well to look at GTD. If you’re looking to make some extra money this year as a side hustle, or maybe you want to start your own little business empire start up costs can be a real barrier to entry. How about some business ideas that you can start where you have little to no outlay? Sounds too good to be true – it’s not! Planning a wedding for later this year? Getting stressed already? How about taking some of the stress of by passing design duties on to someone else? The guys at normadorothy.com will give you 3 sample invites so you can choose what fits and cross another item off of that long to-do list. New year, new you, right? If you want to keep healthy when you’re on a faddy diet, are feeling under the weather or want to make sure you’re in tip-top shape to exercise then you need to make sure that you’re getting the right amount of vitamins. This infographic from medalerthelp.org explains all of the different types of vitamins and what they are used for – remember to try and get these vitamins in natural form if possible as vitamins from capsules may not be as easily absorbed as those from fresh fruit and veg. OMG! This is my favourite article ever! 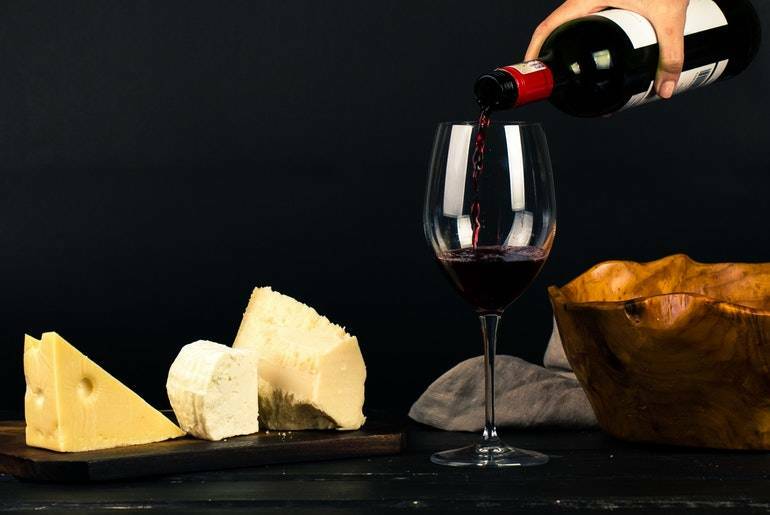 I love cheese, and I love wine so to find a post that helps me pair them is awesome! For the rest of you who aren’t as ga-ga about these things as me, if you’re hosting a dinner party or a want a small buffet for an event then you can’t go wrong wrong with a cheese board – and if you can match appropriate wines then you will go down in history as the ultimate host! As companies are trying to become more “gender inclusive”, women are now getting credit where it’s due for some of the things they have invented. In this infographic, RS components have looked at where the highest percentage of female inventors come from – and let’s say the results are interesting! Technology is moving at a rapid pace – and a lot of it is driven by big budget industries such as sport. Recent years have seen the introduction of hawkeye, super-sensitive microphones and goal-line technology. What will the next few years bring? Apparently drones and AI are going to feature big time in the coming years and the Coral website looks at what will happen in the next few years of your life. Typing a question is so 2018! With the advances in Siri, Google Assistant, Cortana and Alexa you need to make sure your website is optimised for voice search. If you’re not sure where to start the Headway Capital are here to give you some great tips to get you up and running. Do you end up doing things that you don’t want to? I used to say “Yes” to everything that i was asked to do – not because I wanted to but because I felt I couldn’t say no. Fear not! teamgantt have some great tips on how to refuse requests without coming across like an unfeeling scrooge. The great thing about the internet is that it allows groups to try a technique, report back on the outcome and then decide whether it works or not. Well, research and the masses have spoken and “Eating The Frog” – doing the hardest and most unappealing task first thing in the morning – is now officially bad for you and your productivity. I have a whole draw full of washi tape and have to hold myself back from buying more. I use a little in some of my shop packaging but know I need to use it more to justify buying it and this article from PageFlutter has some great ideas for using washi tape in a variety of ways. The internet is going crazy at the moment over Marie Kondo’s Netflix decluttering show. This is great – we all need to get rid of the physical clutter in our lives, but what about the mental clutter? This is something that most (if not all) people have to deal with but it doesn’t factor on the list of things to spring clean every now and again. This article from Pick The Brain looks at why and how you should declutter. Can you quote that author in your article? How about putting that paragraph into your essay? Understanding plagiarism can mean the difference between getting a job or a passing grade and getting kicked out for cheating. So, what is plagiarism? This article gives you all the information you need. Ever walk into a supermarket, smell fresh bread and start salivating? That’s scent marketing at work – and apparently there’s quite a science behind it all. « How Secure Is Your Business When Online?